i have been working back and forth between small and large dog breeds… i LOVE them in all sizes!! below is one of my most recently completed dog art collages of a doberman. 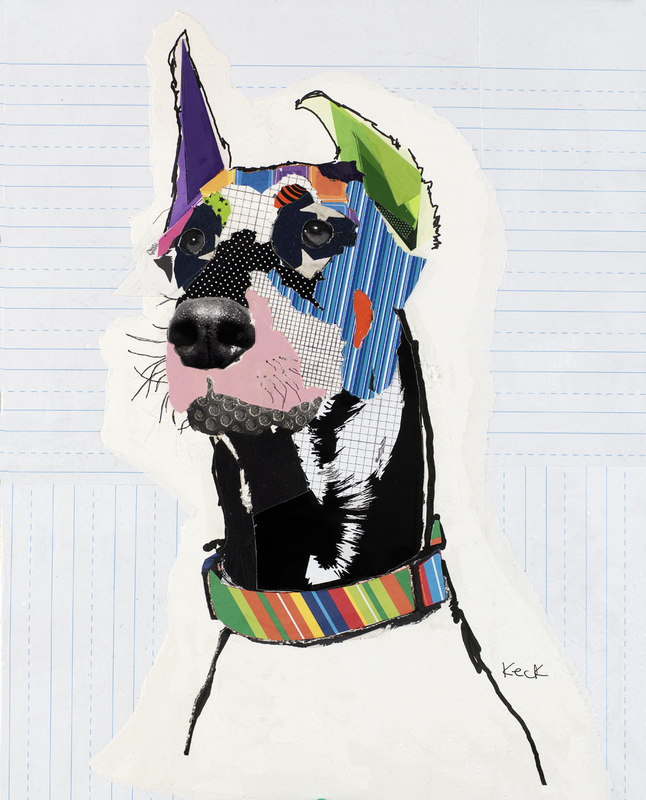 fine art giclee prints of this doberman pinscher dog art collage will be made available within the next week through my site michelkeck.com – all of my dog art collages are available on fine art paper and gallery wrapped canvas. If you need them on canvas please phone into the gallery toll free at 1.219.306.9474 to place your order. If you have a dog related web site and wish to carry my line of dog art collage prints please phone into the gallery to set up a wholesale dealer account.